BELIZE CITY, Thurs. Dec. 1, 2016–Belize earns roughly $12 million a year from foreign-owned vessels flying Belize flags while operating on the high seas in jurisdictions such as Africa, but the operations have often put Belize in the public spotlight over allegations of Illegal, Unreported and Unregulated (IUU) fishing, a multi-billion-dollar problem which is on the radar of global authorities. This week, news hit the international press that a Belize-flagged vessel, Greko 1, had been slapped with a US$65,000 sanction after it was accused of fishing in Somalian waters, off eastern Africa, without a valid fishing license. The case also involves allegations of fishing in prohibited areas, forgery of official documents, and fishing with illegal gear. Although the vessel is said to be Panamanian, online vessel registry records connect it with European investors. Since the vessel was built in 1991 for a Greek owner, the matter is also a concern for the European Union (EU), which had a few years ago issued Belize a red card, resulting in sanctions over IUU fishing allegations on the high seas. The international press reported this week that the Greek owners of Greko 1, who have not been named, had paid US$65,000 (£52,185) to Somali authorities. Information, reportedly released by the US mission to Somalia, indicated that the Belize-registered vessel, said to be Panamanian, was detained in October in the port-capital of Mogadishu with an estimated 30 tons (60,000 pounds) of frozen fish. 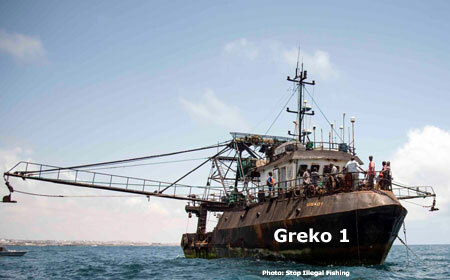 Greko 1 was fined for possession of forged authorizations and licenses to operate in Somali waters and not providing catch report, the statement added. The fine could have been as much as US$600,000, reports say. Furthermore, the vessel was said to have been using banned fishing gear, specifically trawling gear, prohibited under the Somali Fisheries Law. The vessel reportedly fled Somalia for neighboring Kenya. It is currently at Mombasa City in Kenya. “Flag State, Belize, has supported the sanctions, and taken decisive action against the vessel in issuing a prohibition from sailing notice, which means the vessel is not allowed to leave the port of Mombasa unless it receives expressed authorization from Belize to do so,” said an online article posted by the Stop Illegal Fishing Secretariat, based in Botswana. “The issuance of a fishing authorization or license by Belize to the vessel has also been suspended until further notice,” the report added. According to Robinson, the Greko 1 obtained a license after it registered to fly the Belize flag about four years ago. The Belize licence costs US$14,000, and the vessel’s owners pay taxes to Belize. At the time Greko 1 was registered to fly the Belize flag, the license was verified by the Somali authorities, but after the allegation surfaced, it was said that the license for Greko 1 to fish in Somali waters was fraudulent, bearing what was said to be a forged signature; but the license, Robinson said, was obtained through formal fisheries channels there. Corruption is a very real thing, Robinson added. We asked him what is the vessel’s current status, and he told us that the notice of prohibition to sail, which Belize had issued after the IUU fishing allegations surfaced, remains in effect, and will remain in effect until the matter is resolved with Somali authorities. According to Robinson, Greko 1 trawled in the EEZ of the federal jurisdiction of Somalia, targeting demersal species, with lobster, mackerels and sardines being among the catch landed at two ports: Mogadishu in Somalia and Mombasa in Kenya. Robinson said today that the owners of the trawler would have to reapply if they want to seek permission to fish in the area. Stop Illegal Fishing reports that early on the morning of the 13th of October, six days after the inspection of the Greko 1 by Somali authorities confirmed that the trawler had been operating illegally in Somali waters in 2015 and 2016, the Greko 1 fled Mogadishu. It docked in Mombasa on 18th October 2016, and was allowed to access port only after the captain reported a sick crew member on-board, the online report by the Stop Illegal Fishing Secretariat said. “All ports in the region are now on high alert for this Belize-flagged, Greek owned vessel. The FISH-i Africa countries of Comoros, Kenya, Madagascar, Mauritius, Mozambique, Seychelles and the United Republic of Tanzania are expected to close their ports to the Greko 1,” the report added. “Inspection of the hold confirmed that the vessel was filled to capacity with an estimated 30 tonnes of high value frozen fish that is probably worth more than the fishing vessel itself,” the report said. Ports in the African region have been warned not to allow the produce from Greko 1 to enter the supply chain. As our newspaper reported back in 2013, the EU had imposed trade sanctions against vessels flying the Belize flag on the high seas, allegedly because Belize was deemed to be a non-cooperating country in the fight against IUU fishing. The ban stopped Belize-flagged vessels from landing their products obtained from high seas fishing at EU ports, but those vessels, made up mostly of Spanish-owned vessels, found other ports in Asia to land their products.